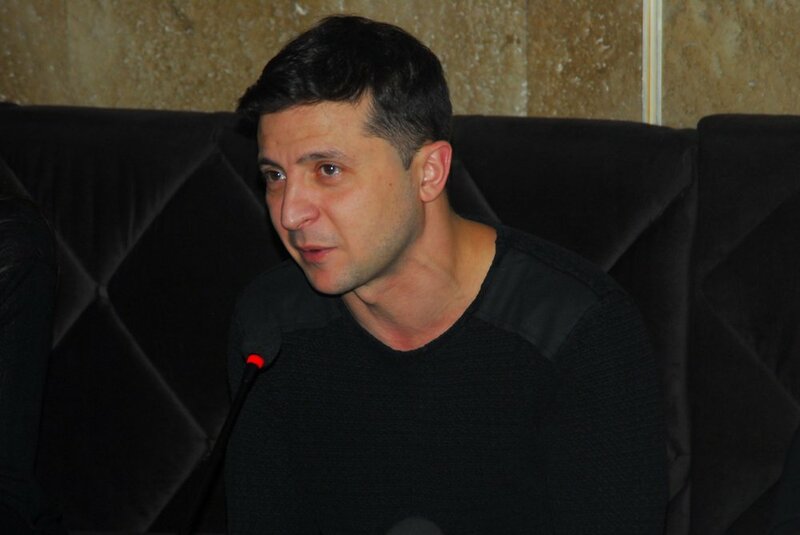 Ukrainian presidential candidate Vladimir Zelenskiy pictured in 2018 (Wikimedia Commons). Popular Ukrainian film director and presidential candidate Vladimir Zelenskiy has been found by Skhemy to have lied about ties to Russian media companies. Skhemy is a joint project by RFE/RL's Ukrainian Service and the Ukrainian TV channel UA. Zelenskiy’s past assertions that he had closed his film production firms in Russia after the country annexed Crimea in 2014 have been called into question, the Kyiv Post reports. The showman is famed in Eastern Russia for his post-Soviet humor studio Kvartal-95 and, more recently, for being the heart and soul of the successful show Servant of the People, a critique of ruling cliques, according to the sketch show’s official website. His widely anticipated entry into the presidential contest is interpreted by Western analysts such as the European Council on Foreign Affairs (ECFA) as a flare of populism coming out of a country mired in “social and economic problems.” The Atlantic Council reports that Zelenskiy required volunteers to his campaign—of which there are now over 198,000—to not have any prior experience in politics. ECFA speculates that Zelenskiy is politically linked to Ukrainian business magnate Ihor Kolomoisky; Zelenskiy announced his candidacy on 1+1, a channel owned by Kolomoisky. The broadcast aired shortly before current President Petro Poroshenko’s annual address and cut the latter program short. Various domestic pollsters including KIIS put Poroshenko at a dismal third place behind Zelenskiy, who could, as reported by Pravda, potentially challenge the favorite, Yulia Tymoshenko. Beloved for her anti-corruption work and down-to-earth brand, Tymoshenko is known to most Ukrainians as simply “Yulia.” The third-time presidential contestant is criticized for being an opportunist feared to have covert links to the Kremlin. The Kyiv Post writes that just one in every hundred Ukrainians approved completely of Poroshenko’s performance as head of the government as of June 2017, according to a poll by the International Republican Institute. Many see his campaign promises to curb oligarchic power and end the war with Russia as lies or failures due to administrative incompetence. Voters are also wary of Poroshenko’s authoritarian tendencies, the Speculator argues. He is accused by critics, the Kyiv Post says, of having orchestrated the Kerch Strait Incident on November 25 in an attempt to either postpone elections or sway voters. Whomever wins the race on March 31 will take up the task of piecing together a country that is split politically East to West—Ukrainian ultra-nationalism pitted against Russian separatism—and economically as income inequality widens. Politico emphasizes the need to tame unruly inflation and corruption as notable challenges for a new government. It remains to be seen how Western states will react to the fact that the two frontrunners in the race for the top job may have connections with Russian business interests or the Kremlin itself.